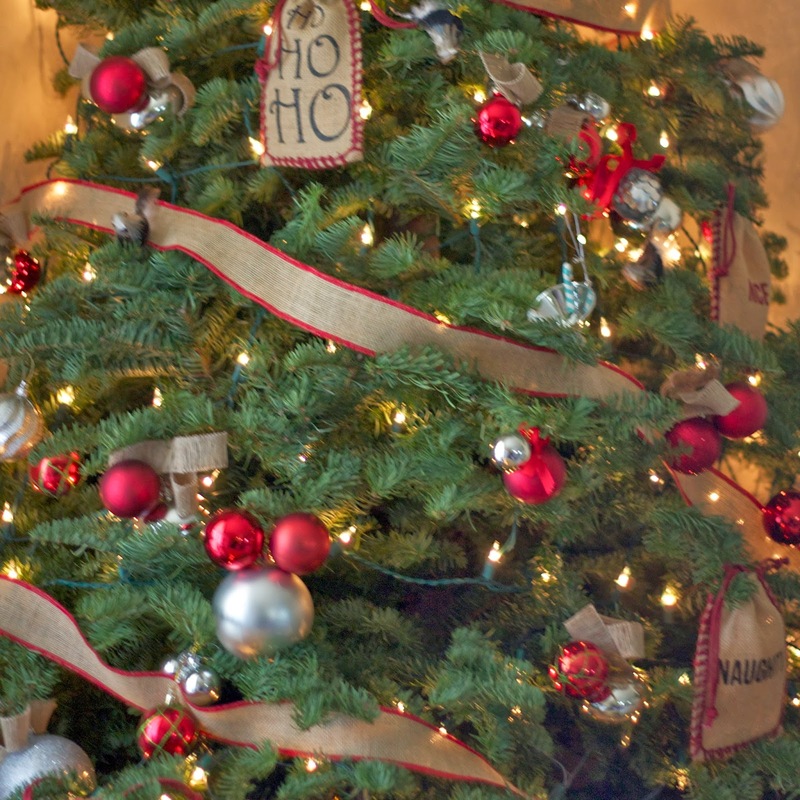 'Tis the season to pick up a Christmas Tree! 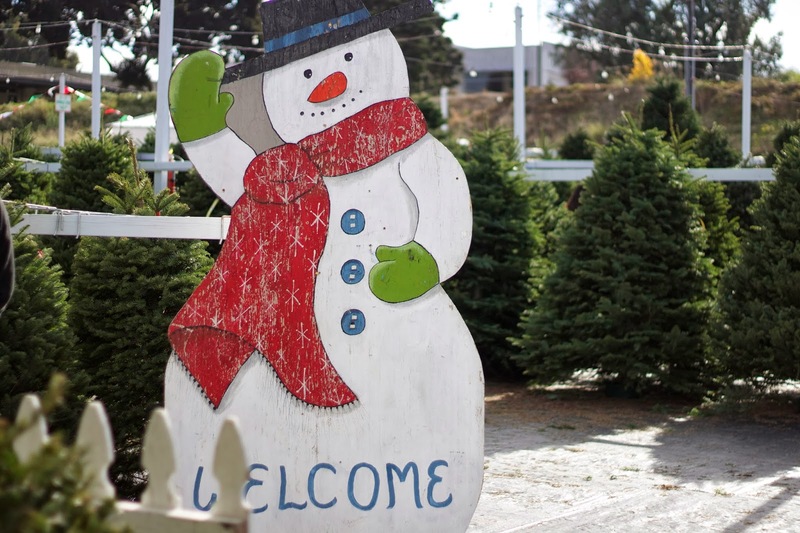 This is my boyfriend and I's 3rd year going to the same place to pick up a tree and it has become quite the tradition-we pretty much have the process down. 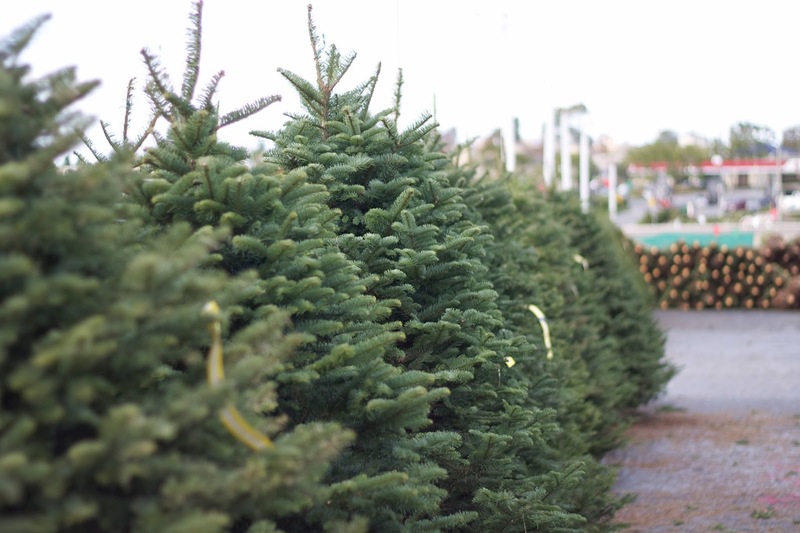 We go in, we go to the same section in the back where they have the "flawed" trees at a reduced price and usually I go for the bigger fir tree of the bunch. 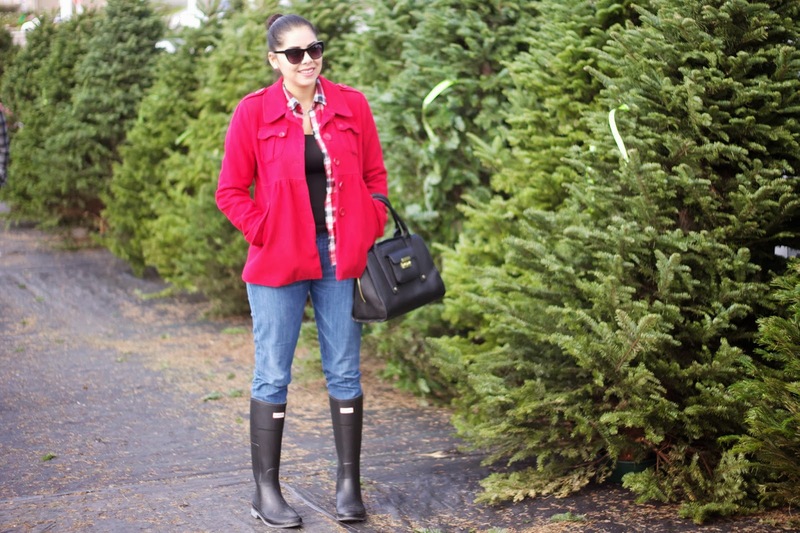 It's funny because this year's outfit is a mix of my past two: red coat that I wore in 2011's Christmas Tree picking, hunter boots that I wore in 2012's and jeans... it has become my go-to formula since it's comfortable to navigate the Christmas tree lot while being festive! 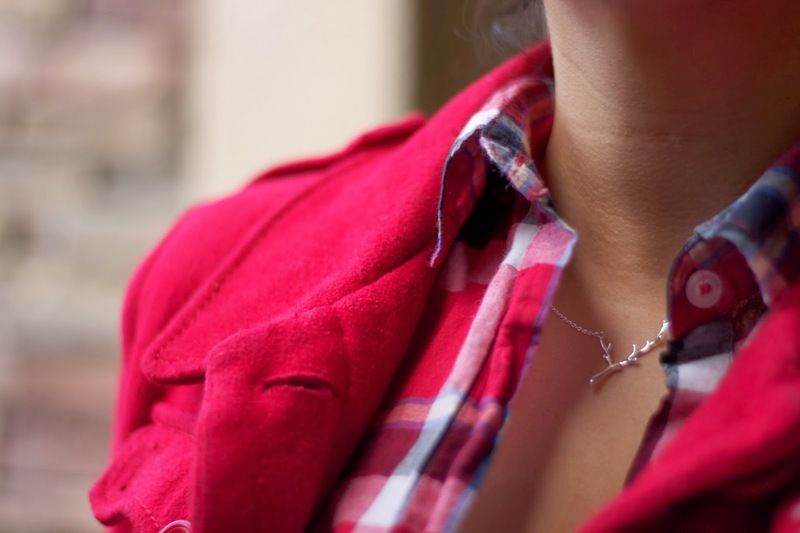 About the Outfit: Red Jacket (Similar), Forever 21 plaid top, Blue Nile branch necklace, Hudson Jeans, Hunter Boots, Blue Nile Branch Necklace ℅. 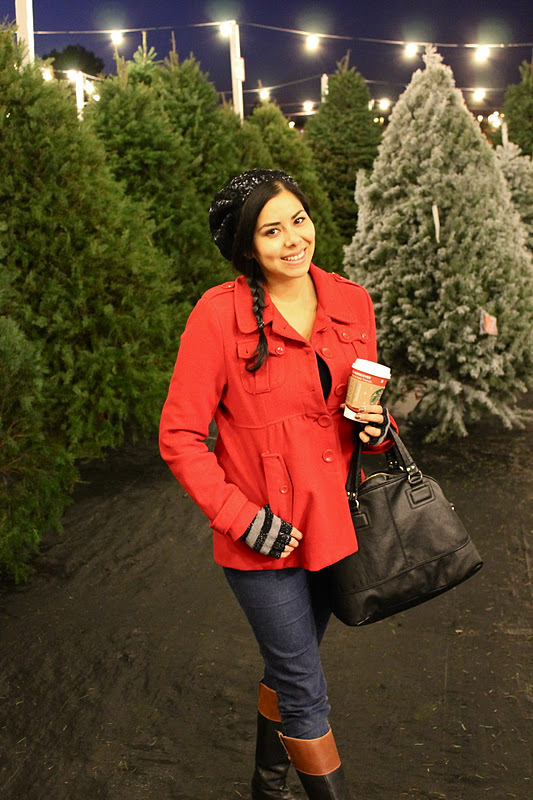 See my 2011 Christmas Tree Picking Outfit here! 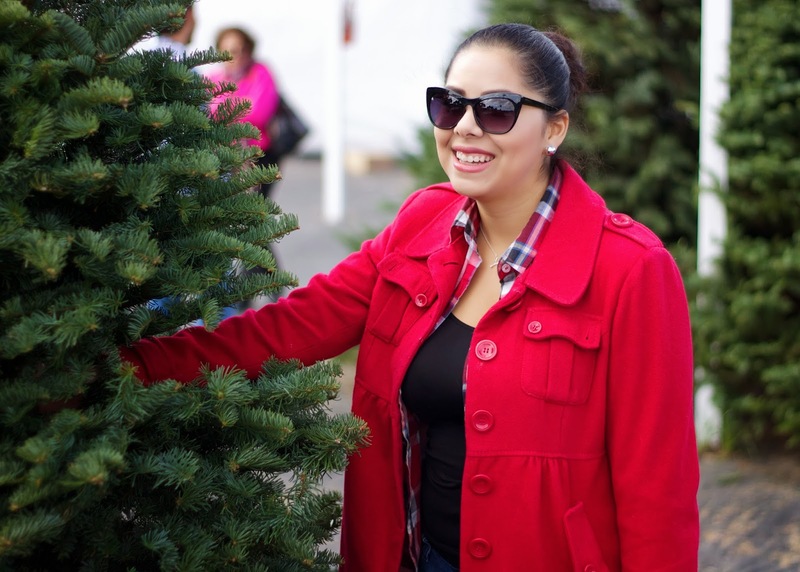 See my 2012 Christmas Tree Picking Outfit here! Perfect outfit for Christmas tree hunting! I love the sparkly hat on you too :). 3rd Christmas together - that's huge. You look lovely in red. Your so funny Pau! Super cute look! Sounds like you guys have started a great tradition! Love that you didn't miss the opportunity to shoot your outfit from there, loving the way you styled those cool hunters!